Bear Mattress is a 25 year old family run business that prides itself on quality and service. While many online mattress entrepreneurs have marketing backgrounds, Bear brings years of successful bedding industry experience to the table. Bears goal continues to be an honest, transparent company who puts the customer first. Buy it Now at BearMattress.com! In order to buy into the notion that Bear makes a great mattress, you need to understand and appreciate the science that has gone into it's construction. Respected professionals in the medical and physical fitness industries were consulted during the design process. 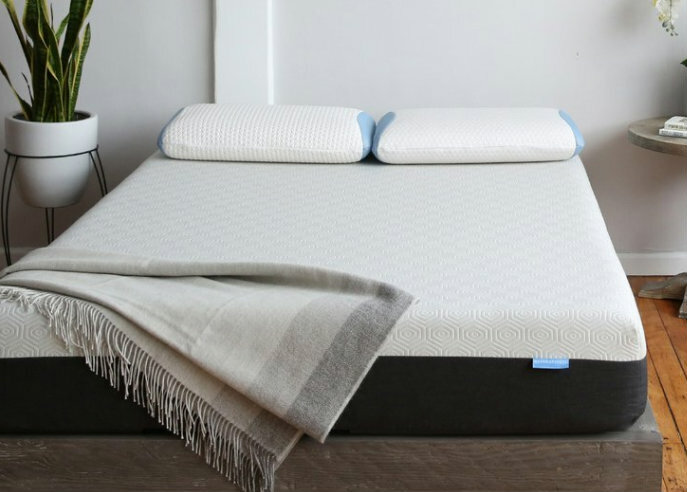 Combined with their own substantial bedding knowledge, Bear worked to develop a mattress that would provide a blend of support, comfort and value. 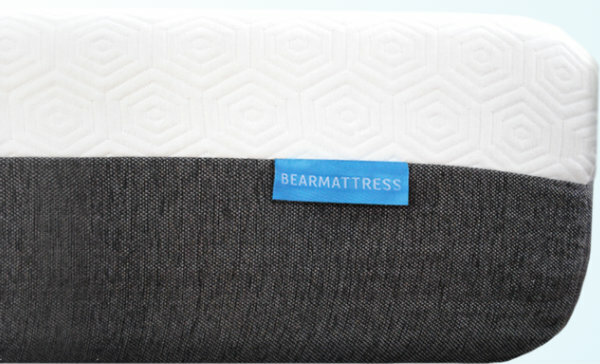 We'll delve into what makes this mattress different and help you determine if Bear is right for you! Celliant Cover - Infrared Yarn Technology promotes faster body recovery. Graphite Gel Foam - Keeps you cool and comfortable. Responsive Foam - Highly resposisve, this foam provides pressure relief and spinal alignment. High Density Support Foam - adds support and durability . The Cover - What is Celliant? Bear's cover is woven with Celliant Infrared Yarn Technology. Celliant, converts body heat into infrared light which in turn is emitted into body tissue and muscles. Studies have clinically proven benefits to the human body such as increased circulation and blood flow. Bear claims the result is Faster Recovery, More Energy, Better Endurance, Increased Performance and Better Sleep. Celliant has been the topic of 9 clinical tests to prove its effectiveness. US Food and Drug Administration (FDA) has determined Celliant products are medical devices and general wellness products. According to the FDA, Celliant products were determined to be medical devices because they temporarily promote increased local blood flow at the site of application in healthy individuals. While testing Celliant, multiple university studies also noted positive anecdotal evidence. Results showing a decrease in time spent awake were recorded. Participants also woke faster, suggesting a better quality of sleep had been attained. Participating universities included the University of California, Irvine, Loyola University, Texas A&M and the University of Calgary. Medium Firm: Like most companies that produce only one comfort option, Bear has chosen to offer a Medium Firm. 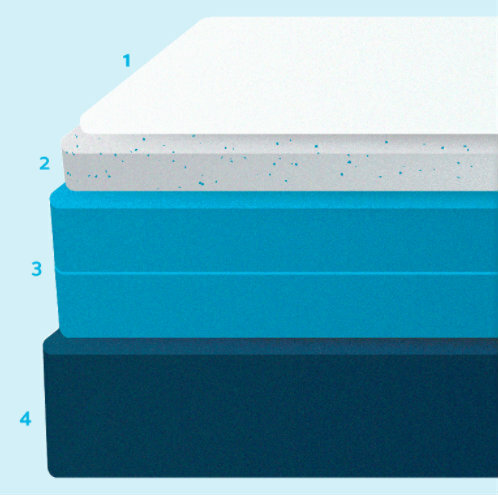 This mattress is typically an ideal level of firmness for most back and stomach sleepers. Soft enough to lessen pressure points but firm enough to maintain proper alignment. It will also accommodate most, but not all side sleeper needs. Those who are particularly sensitive to pressure points may require a softer mattress than what Bear offers. Free delivery (within 4 - 7 business days) to your door in the United States. via FedEX. Bear arrives rolled and packed for convenience. It easily fits through most entryways. At 70 lbs. for a standard queen mattress, it is relatively light but still may require assistance in moving. Bear offers a 10 Year Limited Warranty. It's quite common for your body to have an initial adjustment period when sleeping on a new bed. For this reason, Bear requires you try your mattress out for 30 days before accepting returns. After this time, if you are not completely satisfied, call Bear's service department. A free pick up and full refund will be scheduled. Bear is a solid value if you are looking for a moderately priced all foam bed. This mattress has reasonable support and comfort qualities. The company has a great reputation for service and the mattress has been well received and reviewed. We feel the Bear mattress is well worth your consideration. Bear Sleeps Cool: Graphite Gel foam regulates heat and keeps you comfortable. Low Motion Transfer: Couples feel their partner's movements less which promotes more restful nights! Great Pressure Relief: Highly responsive foams respond and contour to your body. Only One Firmness Level: Bear's Medium Firm will accommodate most but not all sleepers comfort requirements. Is Bear right for you? Try the mattress risk free today! We thought we’d never sleep this good! Every night gets better and better, with less aches and better solid sleep and NO overheating during the night! I’ve loved this mattress. I got one and my mom loved it so much she got one too. It’s the perfect balance of soft and firm (mostly firm). I never get hot while I sleep anymore, which is incredible. After runs and bike rides, I feel like my bed puts me in a natural savasana position to rest and sleep. Good for lounging, cuddling, and activities. My husband and I had been struggling to find the right bed for us. We're 2 broad guys so finding a big enough bed was possible but we found the best one for us. Not overly firm so could get up easily, and not too soft so we weren't sinking into it. Also breathes really well. Love our new bed, thanks Bear Mattress! !